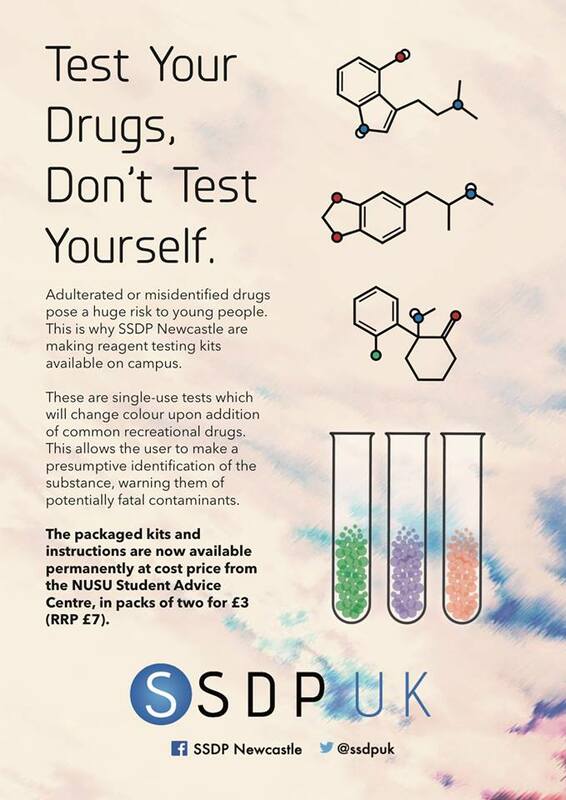 Newcastle University have made drug test kits available to students, in a progressive, pioneering move towards safer, sense-based drug policy on campus. Available for £3 as of today, the initiative arrives on the back of Students For Sensible Drug Policy Newcastle’s recent drug awareness week – which won the NUSU award for ‘best campaign’. 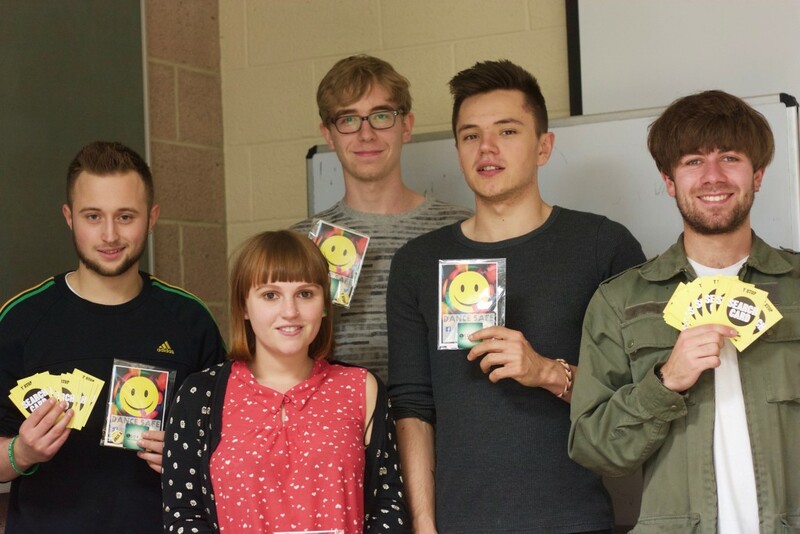 Last September we set up the SSDP Newcastle society at the student union, and managed to get enough members to be ‘ratified’. This meant we could get access to their funding system which allowed us to apply for a special grant. We had the idea of providing testing kits, and so applied for funding for the kits, which they accepted. We then contacted EZ Test Kits to ask about making a bulk order with them, and because we were buying them in large numbers we managed to buy them for less than half the cost price – making them more accessible for students. 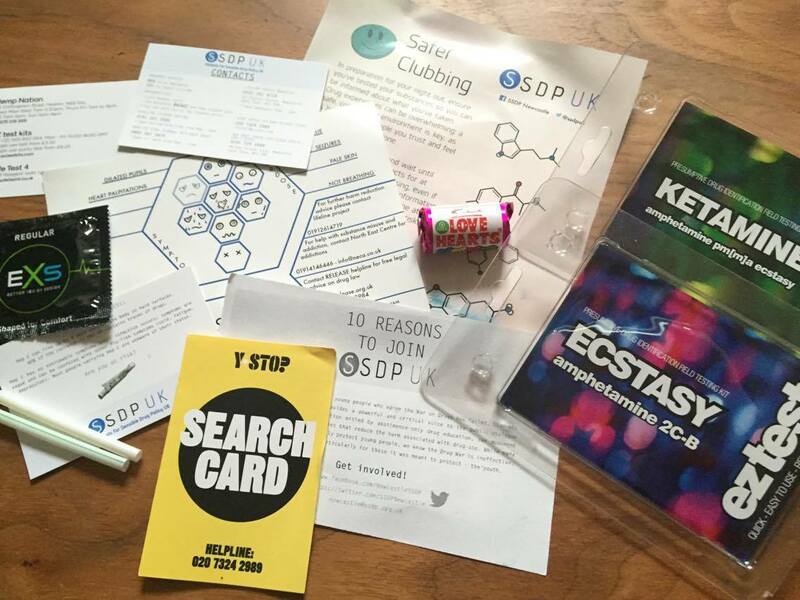 We have also packaged the kits in packs of two, one of the ‘ecstasy’ kits and one of the ‘ketamine’ kits – although these can be used to test other substances too. The ‘ketamine’ kit tests for PMA/PMMA which is often sold as MDMA and has caused multiple deaths in the UK. [Read] Our Student Correspondent Aline Aronsky asks: What Should Universities Do About Students Who Take Drugs? Robinson, who was interviewed on BBC Radio 5 Live Breakfast earlier today (skip to 2:57:30), and the rest of the SSDP Newcastle team have set a shining example to similarly minded students across the country. I think, at the very least, this campaign will get people thinking about harm reduction, and about the risks that associated with drugs because of their illegality. Hopefully this alone will make harm reduction a normal part of illegal drug use within student communities, and prevent the reckless use of drugs. However, I also think this campaign has the potential to save lives in the future, as batches of illegal drugs are being circulated in the area that contain potentially fatal contaminants such as PMA. These can now be identified before people take them. Previous to this, it usually takes a substance to cause a fatality before awareness of the dangers can be spread. This is a stepping stone towards important changes in attitude: where students who consume drugs are fairly acknowledged and feel comfortable enough to talk about their drug use. The small number of drug users who have dependencies or problematic use will also feel more comfortable to talk about this. Newcastle University can now count itself amongst the world leaders when it comes to student drug policy – and academic institutions worldwide would do well to pay attention to their progressive moves. As important as university is for young people to learn, grown and experiment, it is even more important that staff ensure as safe and supportive an environment as possible within which they may do so on campus. With their drug policy becoming increasingly grounded in harm reduction and responsible use, the introduction of test kits for students to bodes well for safer, more switched on campus’ across the UK. [READ] Are Smart Drugs a Smart Choice for Students? Are Smart Drugs a Smart Choice for Students? What Should Universities Do About Students Who Take Drugs?